K-Kids recently received a wonderful surprise from some middle school friends. 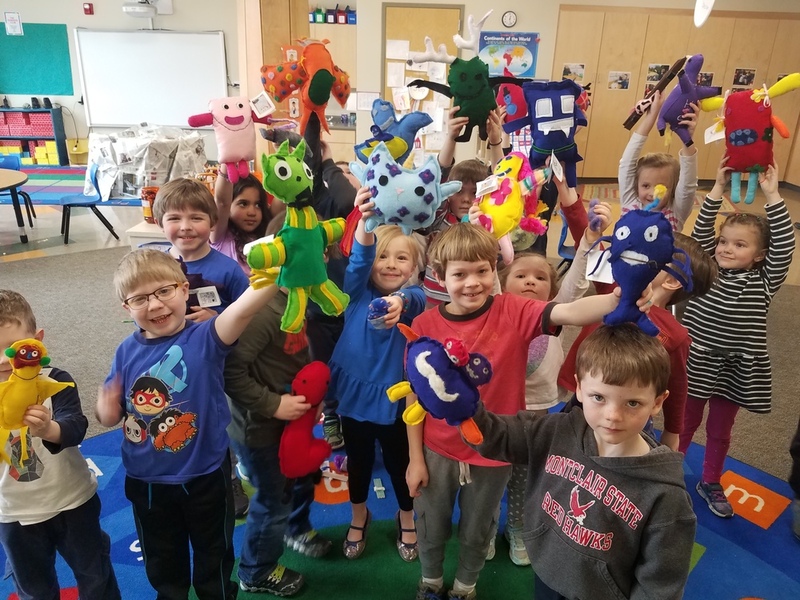 At the beginning of the year, Mrs. Girdwood brought some of her middle school students to our classroom to draw monster pictures with our K-kids. Little did we know that our middle school friends then went off to work on creating stuffies that looked just like these pictures!